Chocolate is a paws-off food for dogs. While a cat may approach foreign food cautiously, dogs usually charge in like a speedboat and ask questions later. That's not a problem for certain types of food, but others will send you and your sick pup to the vet in a hurry. And regardless of what your dog thinks, no food is worth getting sick over. Anything that you drink -- aside from water -- is probably not good for your dog. This includes caffeinated beverages, such as soda and coffee, alcohol and juice. Milk isn't extremely dangerous, but you might be taking your dog for frequent bathroom trips if you give him too much. Caffeine is toxic to dogs, and juice contains more sugar than your dog needs. While alcohol might make people unwind, it's fatal to dogs in significantly smaller amounts than it is to humans. There's no reason to supplement water with anything else, unless recommended by your vet. However, if you want to start brushing your dog's teeth, Texas A&M University suggests using chicken broth when cleaning your dog's teeth for the first few times, so he doesn't shun the process at first. Take your dog for a stroll in the woods, and he might steal a raspberry from a bush. Just don't let his mouth near grapes, avocados, raisins, plums, peaches or persimmons. The aforementioned fruits can poison dogs and sometimes severely. The reasons behind certain toxicities are obvious, such as the pit of a peach which contains cyanide. Other fruits stump even the most educated of researchers. Grapes and raisins both cause kidney failure, but the reason why isn't clear. In general, it's best to redirect your dog's snout from your fruit salad to his tasty food that contains all of his nutrition needs. Unlike fruits, most vegetables don't present a problem to dogs. But if you're thinking about feeding your pup a bit of garlic, picture him as a loveable vampire that you'd like to keep in perfect health. Both garlic and onions can cause anemia in your dog. While not as toxic as caffeine or as deadly in small doses as alcohol, it's not a food your dog needs to indulge in. Your dog eats enough vegetables courtesy of his dog food, but if you're making your own dog treats, throwing in carrots, zucchini or other vegetables won't hurt. Kicking back and watching a movie might be your idea of relaxing, but your dog requires only a bone and a place to lay. Raw bones hard enough to break toes don't pose much of a problem to your dog's health, but meat bones that have been cooked can split apart and cause your dog to choke, or damage his stomach. While you might need to take a hammer to crack a ham bone, your dog's teeth will break off pieces like he's in a competition and the prize is peanut butter. Even if you're keeping a watchful eye on him, avoid giving him the tasty meat-flavored treats. The meat fat taken off the bone can also cause digestive issues, especially if it's raw. Raw meat may result in food poisoning, and WebMD explains raw sturgeon, shad, trout and salmon can cause a deadly disease. 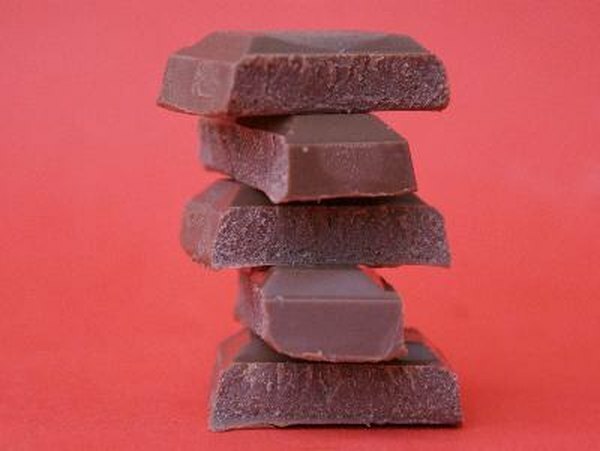 Candy and chocolate -- especially chocolate -- cause harmful reactions in dogs. 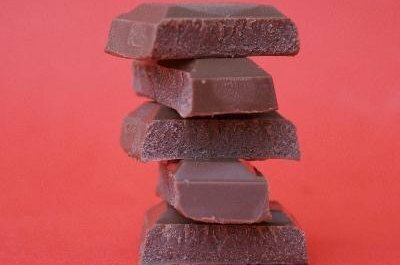 WebMD explains candy contains xylitol and while chocolate contains theobromine. Not only do both ingredients cause digestive issues, they also cause death, even in small amounts. If you want to make a few desert-like treats for your pup, substituting in peanut butter for candy or chocolate will have your dog licking his lips all the same, and without the nasty side effects. Whether you eat macadamia nuts by themselves or sprinkle them in with your deserts, they're off-limits for dogs. As much as your canine buddy would enjoy a couple -- or all of them -- as few as six can poison him, according to WebMD. Body weakness, paralysis and digestive problems can occur. Salty foods also belong on the list of dangerous foods for dogs, primarily because of excessive thirst, although the American Society for the Prevention of Cruelty to Animals notes sodium ion poisoning can also occur. Can a Dirty Litter Box Cause Cat Diarrhea? Does People Food Make Dogs Behave Crazy? Do Cats Try to Hide When They Are Dying? Is Chicken Liver Bad for Dogs?